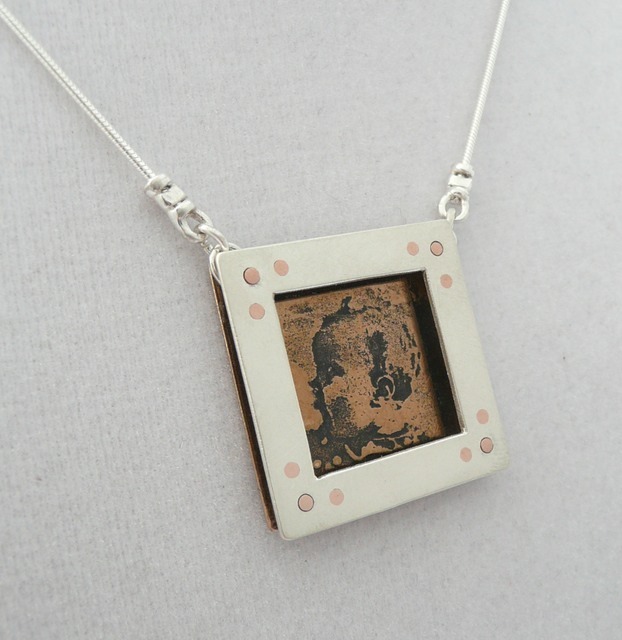 "Ella", photo-etched, riveted, and pierced. Bronze, sterling silver, and copper, 1.25" x 1.25" x .125", 2012. Private commission.